I recently acquired a postcard (shown above) which claims to show the "First public Library building in Kansas erected 1879 at Peabody". The article in Wikipedia for the Peabody Historical Library Museum (which is now housed in the the Library building on the postcard) indicates that the building was built in 1875. According to the Wikipedia article the Kansas State Legislature authorized the Township of Peabody to levy a tax to support the Library in 1876. The Peabody Township Library claims to be "the first free library in Kansas". In 1914 the 1875 building was replaced with a building made possible by a grant from Andrew Carnegie. 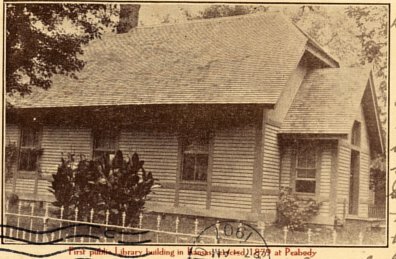 The first library building was relocated a couple of times but is now located next to the Carnegie building which still houses the Peabody Township Library. Something new on google: if you search a broad topic, like climate change, poverty, or the death penalty, it lists the usual websites but if you scroll down to the bottom of the results page, they now have some links to what they call “In-Depth Articles” from publications like The New Yorker, The Atlantic, The New York Times, etc. It is a simple way to move beyond just websites to find deeper information. Google talks about it at Google’s Search Blog. 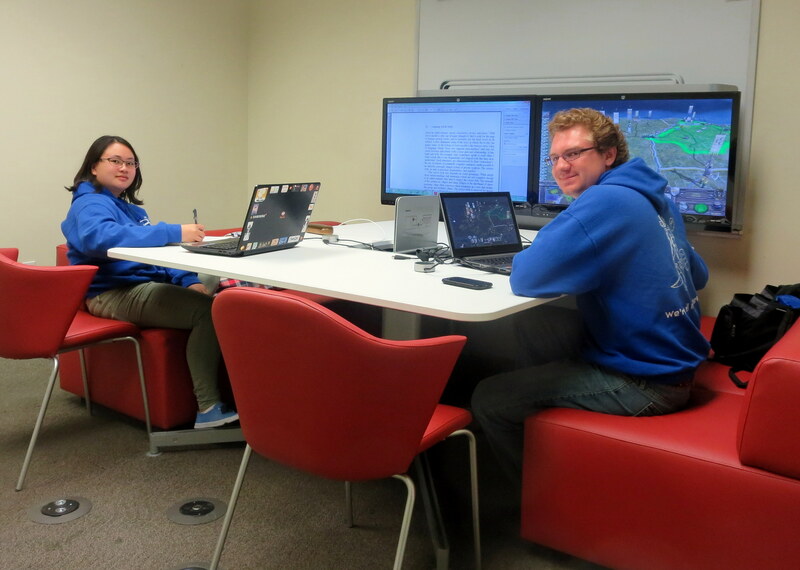 Display monitors with cables to connect to your laptop are now available in the Group Study rooms 209 and 210. If you need them, some adapters and cables are available for check out at the Circulation Desk. At the American Library Association Conference in Chicago this summer I attended the Edward G. Holley Lecture of the Library History Round Table. It waa a presentation by Jacob Soll, Professor of History and Accounting at the University of Southern California. The title of his presentation was "Library of Power, Library of Enlightenment: Libraries as Foundations to the Modern State 1400-1806". The lecture was far more entertaining than its title would indicate. A big portion of the lecture dealt with Jean-Baptiste Colbert, a 17th century Frenchman who was one of the first significant political figures to realize the power of libraries and to make use of that power. Starting in 1661 he served in a number of capacities under King Louis XIV, most notably as Controller General and Finance. As Superintendent of Buildings he was supervisor of the Royal Library, the predecessor of the Bibliotheque Nationale. Colbert also built an extensive personal library that he used to help administer the French State. Soll is author of The Information Master: Jean-Baptiste Colbert's Secret Intelligence System (Univ. of Michigan Press, 2011). According to Soll Colbert, "Believed that all knowledge had practical value for politics." I collect postage stamps stamps that depict librarians or other library people. Colbert is one of those people. 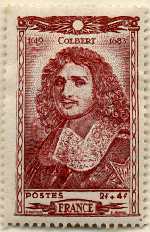 He was depicted on a French stamp issued in 1944 (see above). Thanks to Soll I know a lot more about Colbert. For my list of library people on postage stamps (outside of the U.S.) go HERE. I recently added the really neat postcard above of the Madison (MN) Carnegie Library to my library postcard collection. 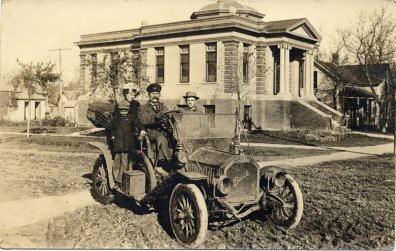 The photo on the postcard of a family in a Buick automobile in front of the library was probably taken not too long after the library was dedicated in 1906. The name of the library was changed from the Carnegie Library to the Madison Public Library in 1990. The original Carnegie building is still part of a greatly renovated and enlarged facility. 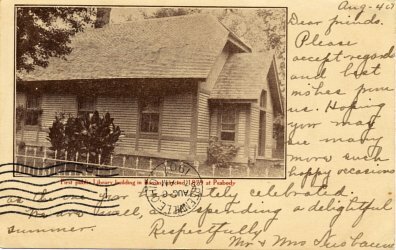 In researching the postcard I came across information about the Carnegie building in the Minnesota Carnegie Libraries Tour on the Placeography website. This was the first I was aware this website.